Vertically integrating the feedstock chain and farms is the secret to AD success. With farm-based AD in the mix, the future of a reliable waste to renewable energy production solution that works 24/7/365 is a reality. Landfill capacity in America is shrinking at an alarming rate. Recent initiatives from our primary export partner China, like National Sword, have only increased the pressure for alternative disposal destinations for all waste streams. 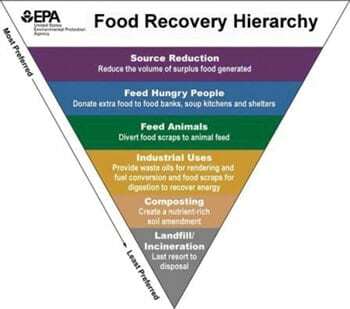 The United Nations Food and Agriculture Organization (UNFAO) says that 30 to 40 percent of all food manufactured in the U.S. ends up in landfills or incinerators as waste. Current estimates are that 25 to 40 percent of the volume in municipal solid waste is from organic materials. Removing some portion of this organic material from landfills is in the best interest of every geographic market in America. The potential to convert that organic material into renewable energy using AD exists and is ideal as it solves both the critical challenge of lessening climate change by reducing greenhouse gas emissions and reduces our ongoing dependence on fossil energy sources that come with the harmful environmental consequences. The biggest challenge continues to be that removing the organic material from the waste stream requires behavioral change on the part of individual waste producers and large-scale organic waste generators. In addition, once the organic materials are collected, they must be cleaned of contaminants and packaging. This cleaning and separation requires significant investment in pre-processing facilities where contaminants can be eliminated from the organic materials. There are three recognized destinations for organic waste material: animal feed, compost and anaerobic digestion (AD) facilities. These methodologies have been deployed successfully in Great Britain and the EU, but the success has been dependent on large-scale government subsidies and high tip fees. These two factors make it nearly impossible to recreate the large-scale and highly engineered systems of Europe and Britain in any workable form here in the US. In 2016 the Federal Renewable Energy Investment Tax Credit, a mainstay in the financing of the wind and solar industry, eliminated the credit for AD. That one action removed the final incentive for organics to energy technology and plant development. Moving forward, any American model for repurposing organic waste into renewable energy needs to be based on strict underlying market-based economics. This fact has driven development to markets where tip fees and energy values merit the construction. In the U.S., we have had to rethink every aspect of the organics disposal pathway and develop innovative methodologies to keep organics to energy alive. Past methods of handling organics such as its use for animal feed are no longer viable. Even composting, although evolving and widespread, has significant shortcomings. Food waste is collected and delivered to a Farm Powered anaerobic digestion facility. Animal feed was the historic use for much of U.S. food waste. Local collection of food waste for this purpose by and for farmers was commonplace in America into the 1960s. With ever-increasing population density bringing people and farms closer and closer together, the use of food waste for animal feed has largely become a potential liability. The Food Safety Modernization Act signed into law in 2011, dissolved the concept that large volumes of the organic waste stream could come to rest on farms as animal feed. Composting is one popular idea that is widespread and continues to gain traction with consumers until the facility locates in their neighborhood. These facilities are plagued by community backlash largely due to odor issues as organic materials do not lend themselves to large-scale aggregation like cardboard or plastics and the larger the collection, the larger the problem. The composting industry is evolving methodology to address air and waste quality standards, but the necessary size of composting facilities and odor control issues continue to challenge broad-scale success. Communities must consider the environmental challenges of composting such as methane emissions and leachate contamination of groundwater and surface water supplies. AD has been edging forward to gain recognition as the best solution to the organics challenge. After several significant failures, some renewable energy developers are realizing success in bringing the organics to energy model to scale. Not all AD facilities are alike. There are single-stream facilities that process one type of waste and have more limited loading rates. These are typically found in food manufacturing operations. Co-digestion facilities that process food waste and farm manure produce significantly higher quantities of biogas particularly when custom mixing of the inputs is closely monitored. An effective co-digestion example is farm-based AD. 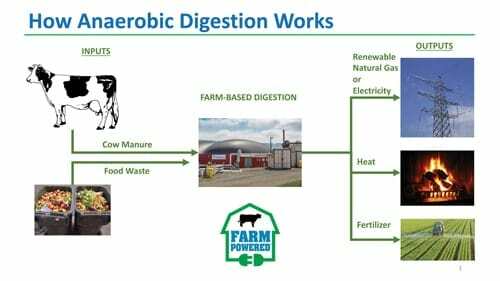 This mechanical process mimics the biological process of a cow’s gut, processing organic food waste in combination with farm waste to produce Renewable Natural Gas (RNG) or Renewable Electricity and organic fertilizer. Food waste is collected from any organics generator or household by an area hauler and delivered to a farm digester to be recycled. Not only does AD provide a renewable energy source to the grid as baseload 24/7, it also sequesters methane, which is a 25 times worse greenhouse gas than CO2. Key to the success of AD facilities is the quality and consistency of input organic waste feed stocks and availability of feed stock sources within a reasonable radius to the digester facility. These factors drive AD facility economics and potential energy output and determine project feasibility, size and design. Four upfront challenges that AD project developers must address are odor, feedstock supply, feedstock continuity and effluent disposal. Odor is the greatest operational challenge faced by any processor of organic waste. The problem is twofold: volume aggregation and emission control. Organics collection and processing must happen quickly and in the correct environment. The time window for open-air aggregation is very short. Employing significant air handling and filters to remove any risk of offending the community is a better approach. In the Northeast, there is an impressive system of private and public cooperation that is building a working solution to the issue of the GHG impact of food waste and farm sustainability. In Massachusetts, it is estimated that there is more than 2,500 tons a day of organic food waste potential for collection and recycling at AD and composting facilities, but currently it is estimated that only 500 tons is being processed. In landfill-constrained areas, AD is the most cost competitive organics disposal destination because AD provides energy income potential and tip fees can be competitive with traditional organics destinations. Where energy prices are low, AD may not pencil out, but most food waste concentrations in metropolitan areas generate enough income to make these projects work. A key differentiator for AD as a destination is the capture of methane (a greenhouse gas 25 times worse than CO2) produced by the breakdown of the organic material. In addition, if the digester is placed on or near a farm, the heat and organic fertilizer it produces can be given to the farm for beneficial re-use. A customized, cost competitive food waste collection and recycling program diverting to on-farm AD is appealing to waste generators because it gains sustainability points, meets food waste recycling mandates and generates renewable energy. This energy can be purchased by the generator, completing a closed-loop, or by the local community and businesses. Even better, supporting a local legacy farm is an appealing customer-focused message. Organics are split into the pre-and post-consumer segments. 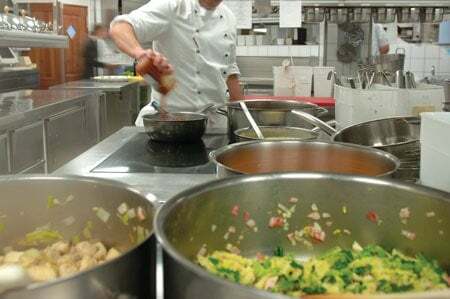 Pre-consumer food waste is the easiest to process as it has limited contaminates. Even if there are contaminants in the existing stream, food manufacturers can be incentivized and coached to remove most of the contaminants because there are economic drivers to reward the changes. For post-consumer food waste, whether the destination is compost or AD, contaminates are a huge issue as they can destroy the system integrity and operational capacity. Vertical integration of waste handling is critical for organic waste collection and recycling to take hold on any scale within a market. This is a challenge but it is also a huge opportunity. After collection, the most important step to fully integrate all sources of food waste is a pre-processing facility that can separate food waste from packaging. Since more than half of the organic material in the market today has some type of contamination above the 1 percent threshold that most composters and AD systems can process, developing pre-processing capability is essential to the growth of the waste and the AD industries. Several versions of pre-processing facilities exist across the U.S., but the technology, imported from Europe, requires more adaptation for the American market. These pre-processing facilities can remove the plastic, paper, and metals from the organic stream and send those products off to recycling or landfill. The segregated organic materials are produced in a slurry that can be pumped and transported economically to an anaerobic digestion facility. One of the challenges of AD also offers great promise for farmers. At the end of the AD process, the digester produces large quantities of high nutrient liquid. This odorless material cannot be discharged into a sewer system without risking significant charges for handling. That same high-nutrient liquid is an ideal organic fertilizer or soil amendment. Giving the fertilizer from a farm-based AD offers incredible value for the farmer. Per the EPA, the greenhouse gas impact of discarded food waste and animal manure in the U.S. is larger than any other class of stationary emitters. At the same time, America’s family farms are struggling under extreme stress to modernize and diversify to compete in the global marketplace. Groundwater contamination from farm operations and air pollution from methane emissions has put the farmer under the gun to improve on-farm sustainability practice. Farm-based AD facilities help the farmers eliminate greenhouse gas emissions and groundwater contamination and provide income via the hosting agreement, and financial relief via low-cost energy, organic fertilizer, and free heat and hot water to the farm. John Hanselman is Chief Executive Officer of Vanguard Renewables (Wellesley, MA). Vanguard Renewables was named 2018 Organics Recycler of the Year by the National Waste & Recycling Association. Vanguard Renewables Farm Powered Anaerobic Digesters produce renewable energy from food waste and farm waste. John has 30 years of experience in environmental innovation including a Managing Principal and founder of Brightfields, a solar brownfields solutions company and as a Managing Principal of Renova Partners, a national brownfield investment and development company. John has directed several of the nation’s largest private acquisitions of contaminated properties from Fortune 500 companies. John has been an invited speaker at Harvard Business School, Babson College and both MIT’s Sloan Business School and Center for Real Estate Development. He has numerous published papers and holds patents in the semiconductor and natural language software areas. John can be reached at jhanselman@vanguardrenewables.com. *By the close of 2018 Vanguard Renewables will be recycling more than 500 tons of Massachusetts food waste per day and 120 tons per day of manure at our Farm Powered AD facilities. That is nearly 200,000 tons per year of combined on-farm and off-farm organics being processed. The Vanguard program is the largest Massachusetts destination for food waste completing a Table-to-Farm closed loop organics to energy lifecycle. 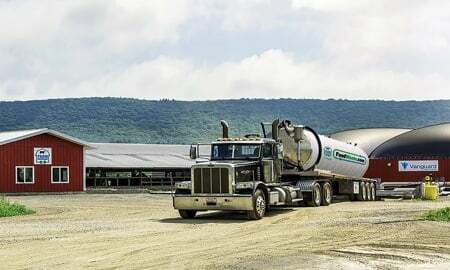 Their new facilities under development and expected to commence operation in 2019 and 2020 will increase that number to over 1,000 tons per day and extend the reach of the Farm Powered AD program producing either Renewable Electricity (RE) or Renewable Natural Gas (RNG) to two additional states.